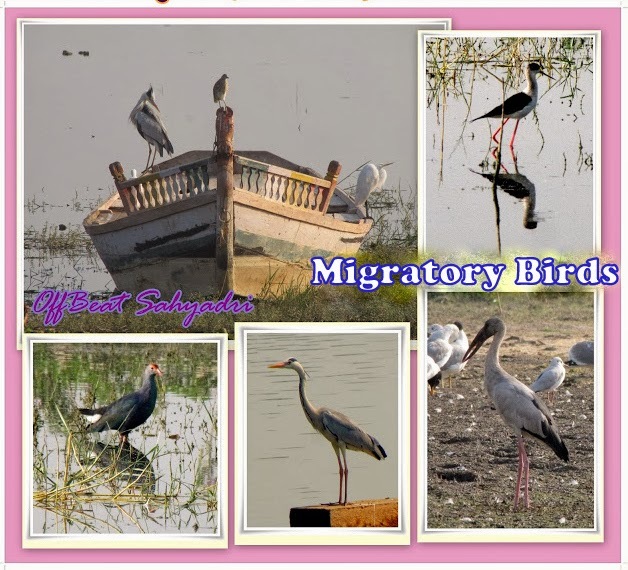 We invite you to a Migratory Bird Watch at Bigwan-Diksal on 28th and 29th of Dec 2013. The migratory birds found here are White Stork, Glossy Ibis, Spoonbills, Flamingo, Goose Brahminy Duck, Pintails, Cranes Shanks, Godwits, Weavers, etc. The resident birds include Black Ibis, Spot Bills, Teals, Little Grebe, Cormorants, Egrets, Herons, Stork, Kites, Vultures etc. The itinerary for the event is as given below. 09.30pm : Reach Mumbai tentatively. Note : Entry for first 15 Participants only. Posted in bigwan, bird watching, dikshal, migratory birds, OffBeat Sahyadri, trek on 28 29 th december.